Wattamolla beach Royal National Park is a popular family destination and can get quite busy on weekends and during school holidays. The calm waters of the lagoon at Wattamolla make it ideal for young children to swim in, one of the main reasons for its popularity with parents and families. 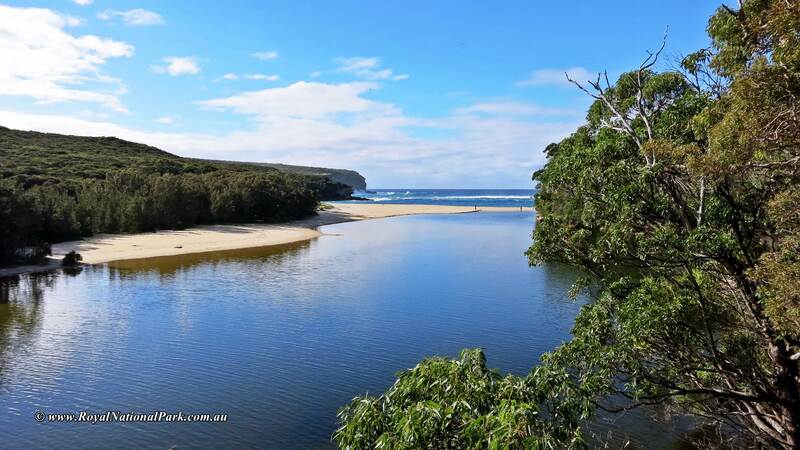 This beautiful beach and lagoon is located in Wattamolla cove on the eastern side of the park, between Garie Beach and Marley Beach. It is accessible by car from Audley via Sir Bertram Stephens Drive and Wattamolla Road, or from Waterfall train station via McKell Avenue onto Sir Bertram Stephens Drive. The roads are sealed and easy to drive, and a 50-space car park is provided. Wattamolla is only open to visitors during the Royal National Park’s operating hours between 7:00am and 8:30pm daily. Wattamolla Beach is a unique piece of geography, as the sandy shore itself is actually a barrier between the ocean and the lagoon. Not too many beaches in the world have swimmable water on both sides of the sand! The ocean at this beach is generally calm, although strong rips and currents may be present at any time, so swimmers and surfers must take care. The beach and nearby picnic grounds are open and inviting at any time of year in fair weather. Wattamolla Beach is no longer patrolled by Surf Lifesaving Australia during the summer months. At all times, watch out for hazards, only swim during daylight hours and never swim alone. Also avoid swimming near, or walking on rocks as these can be slippery, and can also cause large, unexpected waves to occur. In addition to swimming, Wattamolla is also a popular surfing spot when the waves are high and produce a close out shore break. The beach and lagoon are also a well-loved place for fishing, though a NSW recreational fishing licence is required to do. Other activities on the lagoon include snorkelling and lilo-ing. 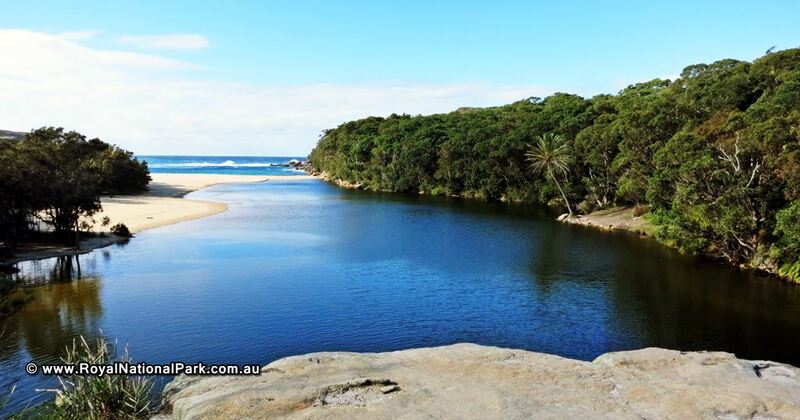 The only amenities provided at Wattamolla Beach are those located at the nearby picnic grounds. For visitors who are just swimming and not picnicking, these amenities basically amount to just the flush toilet facilities – there are no dedicated change rooms or showers.